The most anticipated IBPS Clerk 2018 Exam has been conducted on 8th, 9th, 15th & 16th December 2018. After the exam, you must be waiting to see the paper analysis. We have come up with the IBPS Clerk Prelims Exam Analysis for all dates in the article below. The candidates will get benefit from this IBPS Clerk Review 2018. Check out the insight of the difficulty level, types of questions and no. of good attempts to secure a place for the next round. 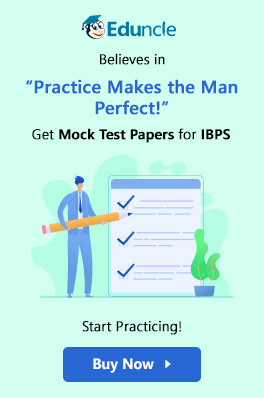 Go through the detailed IBPS Clerk Exam Analysis 2018 given in the blog below. IBPS Clerk Prelims comprises of three sections i.e. English, Quantitative Aptitude and Reasoning Ability. The exam consisted total 100 questions for one-hour time duration. Reasoning and Numerical Ability section were comparatively easy among the English section. The level of an overall exam was easy to moderate. The Reasoning Section was easiest while IBPS English section was the most difficult among all the three sections. Below we have presented the IBPS Clerk Exam Review 2018 based on the subjects. Please check out! There were 6 questions in reading comprehension out of which 1 question was of related to synonym-antonym. in 3 out of 4 shifts, para jumble and spelling filler were common. There were 2-3 miscellaneous questions in all the shifts. English section was the toughest among all the sections. The Filler questions were also tricky. In such questions, the candidates had to find the correct pairs among the given set of words for a single blank. There were two sets of Data Interpretation in shift 2nd and 4th shifts in the IBPS Quantitative Aptitude section. There were only 5 questions from quadratic equations.This section was easy to moderate level. Out of the three sections, level of this section was easiest. There were three sets of Puzzles & Seating Arrangement in all shifts. Go back to All Slots. IBPS Clerk 2018 Prelims Exam was also conducted successfully on 9th December 2018. The level of this slot was easy to Moderate. This section was the toughest among all the three sections. Sentence Rearrangement was of new pattern whereas Cloze Test was of old pattern. Questions asked in this section was of Easy to Moderate Level. Application sums questions were easy to solve in less time. There were slight changes in pattern of questions asked in different slots in 9th Dec. Order and Ranking questions were asked in 1st and 4th shifts only. Syllogism was not there in shift 4. That was the third day of IBPS Clerk 2018 Examination. After analysing the level of questions asked on 15th Dec, we found the difficultly level of this section 'easy-moderate'. This section was the toughest among all the three sections. Phrase Replacement questions were only asked in two shifts. Cloze Test was of old pattern. The overall difficulty level of this section was easy to moderate. The Data Interpretation questions were based on tabular. Puzzle and Seating Arrangement were asked in all four shifts. Alphabetic series were only in 1st & 4th shift. Order and Ranking questions were only asked in a single shift. So, here we have given the complete IBPS Clerk 2018 Exam Analysis for the tests conducted in different shifts. The candidates who are yet to appear in the upcoming Prelims Exams may take help from this IBPS Clerk Exam Review. If you find this article useful, then do share it with your friends. If you have any queries related to this article, you can ask them in the comment section given below. Join us on Facebook for latest banking updates. 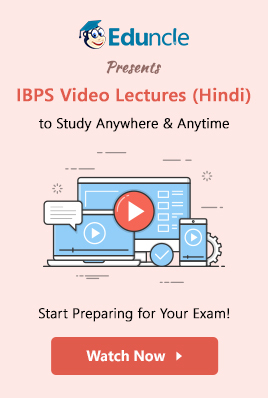 You can watch videos on IBPS Clerk Exam preparation through our Youtube Channel.